The Thrifty Garde Robe: my last weekend refashioning project.. Here's my last weekend refashioning project. 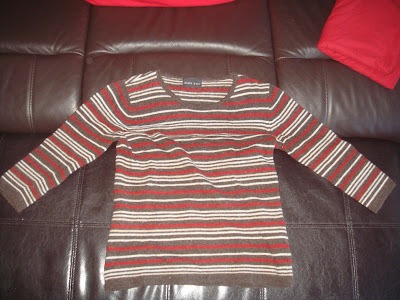 The victim : a stripey jumper made from 100% lambswool, size UK10, purchased on thrift store. 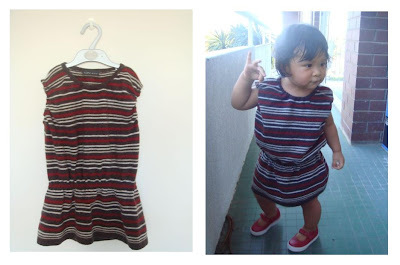 # 1 : A loose fitting woolen dress. 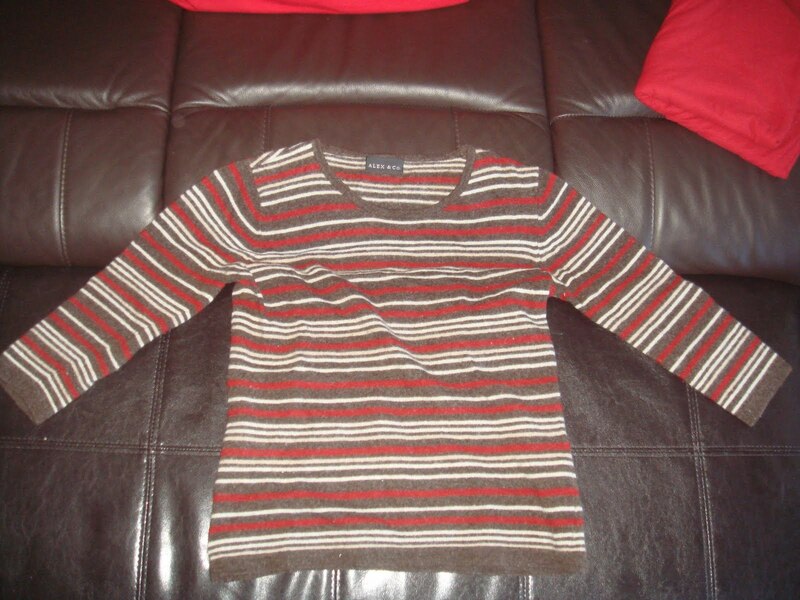 I added elastic band on the armhole, neckline and waistline to fit my 16month old girl. Still too big for her but she can wear it with skivvy and legging underneath on the colder days. Adorable, adorable, adorable! How sweet of a little lady is she? Too cute, and the dress, it's cute too. I did bust out with those tights, but on they look terrific! 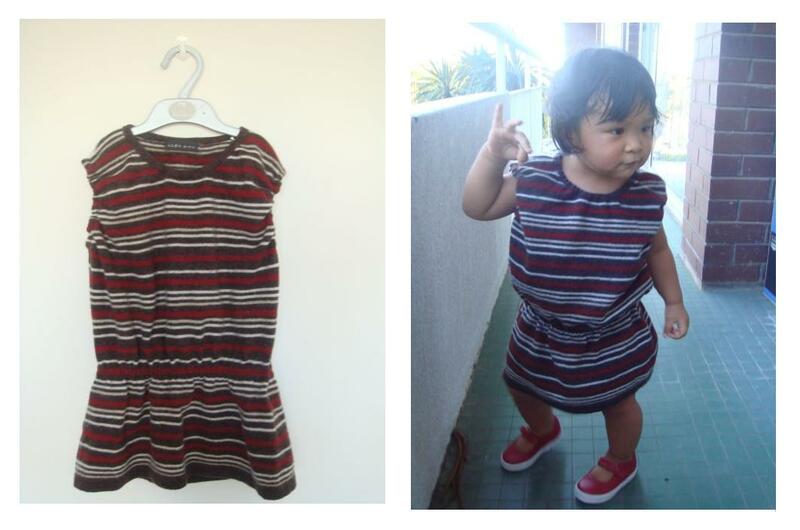 Amazing refashion Glenda. Such a cute dress!!! The tights look great on...why not just wear them under dresses and skirts with little boots, that way you don't have to worry about the superhero thing!! !